Jaipur is a gem of Rajasthan, known for its architectural beauty and historic elements. The city has attracted millions of tourists in the past. Mandawa is a refreshing spot for those who love paintings, historic structures and architectural beauty. 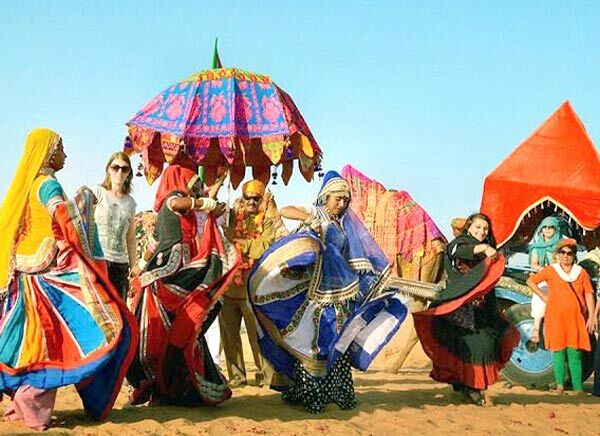 Combining these two destinations, Travelogy India has prepared itinerary of 3 Days Jaipur Mandawa Tour that focuses on art, culture, history and beauty of Rajasthan. 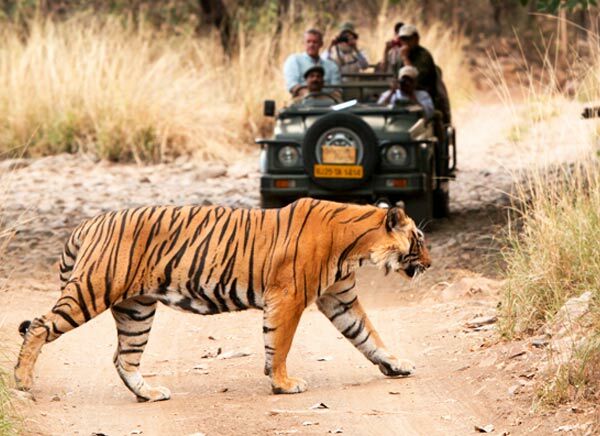 Once you reach the airport or railway station of Delhi, you will be met by the tour representative who will pick you up in a comfortable vehicle and take you to Jaipur on a road trip. You will reach Jaipur by early afternoon. 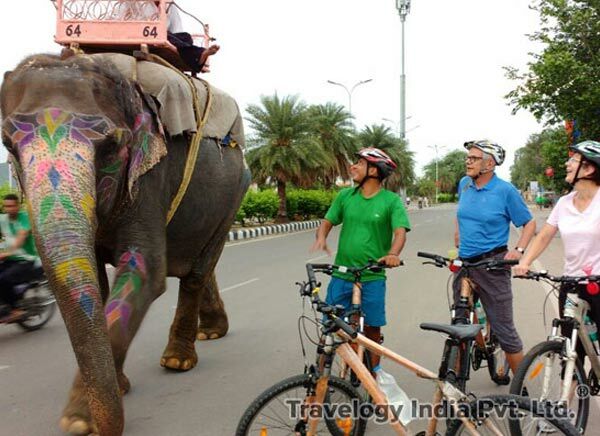 After checking into a pre-booked hotel in Jaipur, he will brief you about the itinerary within a few minutes and leave you off at your room for refreshment. 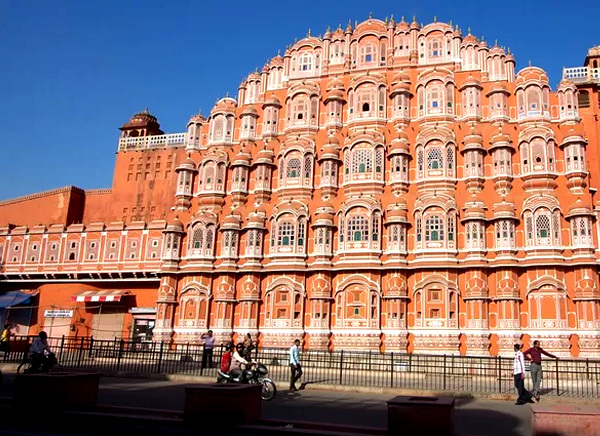 By late afternoon, the sightseeing starts and top spots covered are Hawa Mahal, City Palace and Jantar Mantar. Hawa Mahal is the best spot for photography to get a post-card level of beauty to your photos. It is a honeycomb structure with numerous windows through which royal women watched processions and town life. 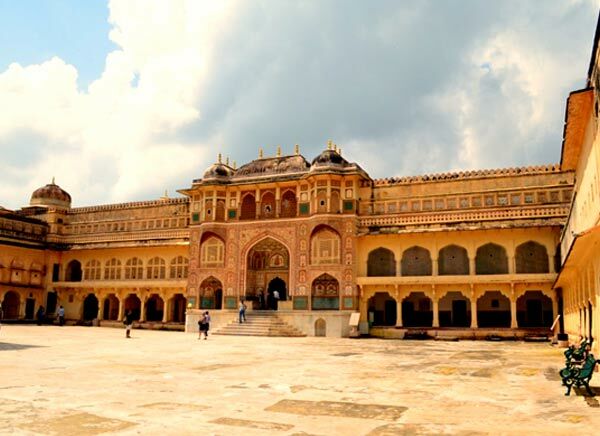 City Palace is an important attraction of Jaipur. Anyone who visits Jaipur will cover City Palace in his itinerary. 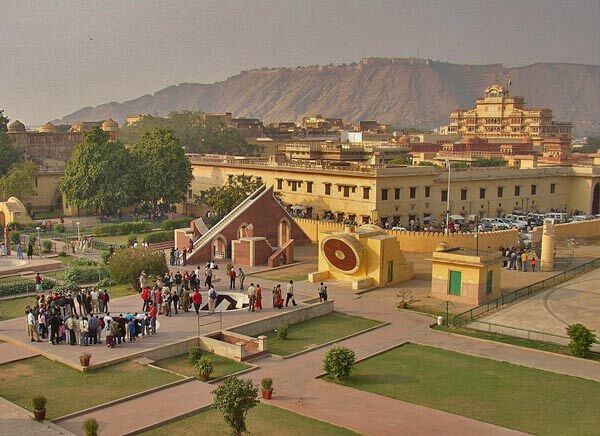 Jantar Mantar is a science observatory, which was built by an ancient king to learn the exact position of sun, earth, moon and other planets. You can find a large sundial here. Your guide will explain each instrument inside Jantar Mantar.  By evening, you will be taken on a shopping tour to Jaipur local markets for souvenir shopping. Top things to buy in Jaipur are marble work, lac work, carpets, woodwork, leather products, antique silver objects, bangles, semi-precious gems and others. You can find various street foods in Jaipur markets and the top ones to enjoy are GolGappas, lassi, malai and others. Overnight stay in Jaipur hotel. After breakfast at your hotel, you will be asked to checkout. 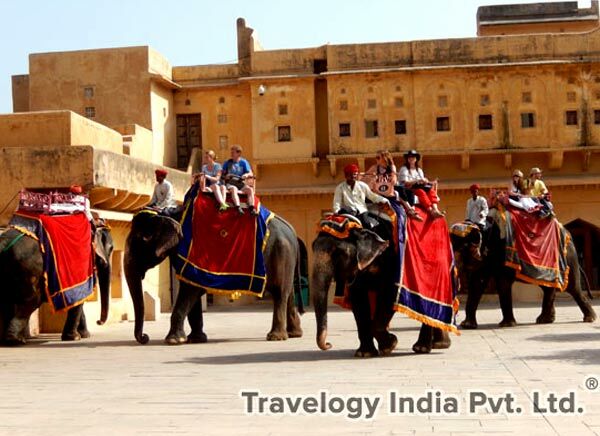 After the checkout formalities, you will be taken on a sightseeing tour that covers Jal Mahal and enjoy the elephant ride at Amer Fort. After sightseeing, you will be taken on a road trip to Mandawa. Mandawa is just 170 km away from Jaipur and it takes 3 hours to reach. 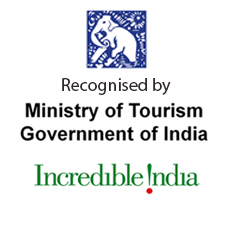 Since you will be taking the national highway route, the trip will be smooth and relaxing. 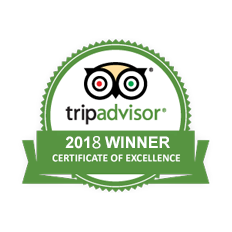 Once you reach Mandawa, you will be taken to a pre-booked hotel. 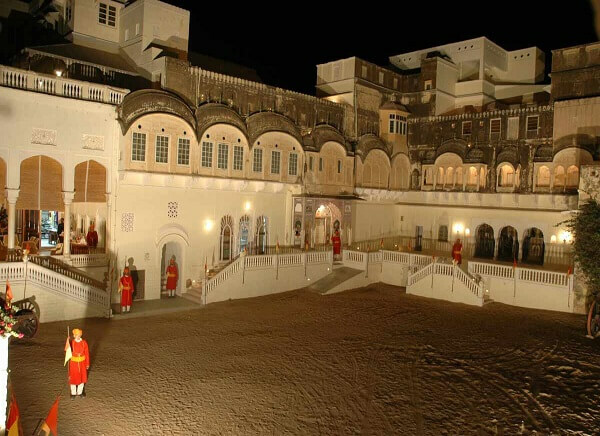 After checking in and lunch, you will be taken to spot royal paintings and havelis in Mandawa. Top havelis found in the city are Goenka double haveli, Murmuria haveli, Aakharam haveli and others.  You can find paintings of animals, European men, Rajasthani women and others here. You will be taken back to the hotel by early evening and the rest of the day is free. You can take up small shopping tours in Mandawa. Top things to buy in Mandawa are paintings, metal items, dyed fabrics, bangles and others. Mandawa painting is a worthy item. After breakfast and check out formalities, you will be taken on a trip to Mandawa fort. It is an 18th century fort famous for arched gateway, paintings of Lord Krishna, mirror work, antiques and others. The fort is built in medieval theme and is now a heritage hotel. You can find many ancient paintings in this fort. 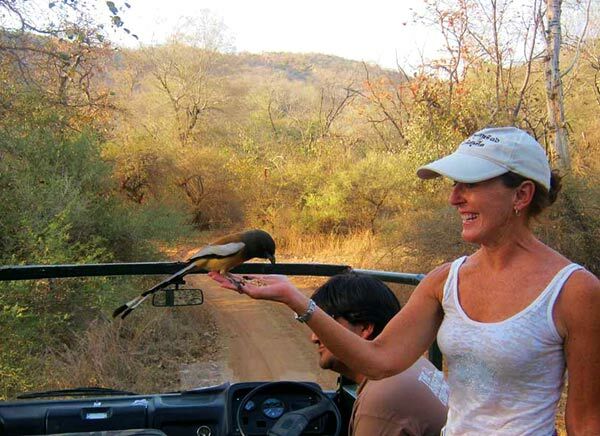 After the fort sightseeing, you will be taken on a road trip to Delhi and you will be dropped off at airport or railway station or any hotel to continue your vacation as you desire.